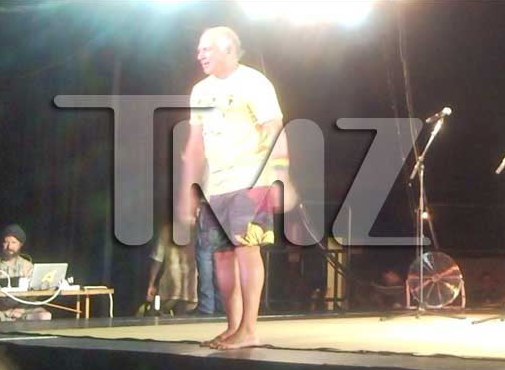 Jimmy Buffett (64) was rushed to a hospital in Australia today after he fell off the stage during a concert face firs and hit his head. The flashing lights from the lighting director may have been what caused Jimmy to lose his balance and end up unconscious. He was taken to St. Vincent’s Hospital in Sydney. An audience member in the front row told TMZ it that Buffett was unconscious for about 5-10 minutes and that he had a huge gash on his head when the paramedics arrived 15 minutes later. Jimmy Buffett is now in stable condition and will remain in the hospital for observation for the time being. Watch the video footage from of the actual fall here.